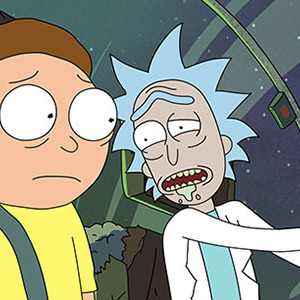 Dan Harmon has found himself a hit with Rick and Morty. His Adult Swim animated series is turning into something of a juggernaut with young men: Last night’s episode jumped up to a 1.5 rating with guys under 35, putting it ahead of FX’s Archer (1.4 in that demo) and everything that aired on the Big Four broadcast networks (save for How I Met Your Mother and 2 Broke Girls). R&M even outdrew last Thursday’s episode of Community among men under 35 (his NBC comedy notched a 1.0 in the dude demo). While R&M is strongest with younger men, it also did well with the broader audience of all adults under 50, averaging a 0.8 in the key sales demo, per Nielsen. That puts it ahead of NBC’s 9 to 10 p.m. comedies last week (which averaged a 0.7) and not far from what Community earned on the Peacock (1.1). Adult Swim hasn’t renewed Rick and Morty for a second season, but with these numbers it’s probably just a formality at this point.